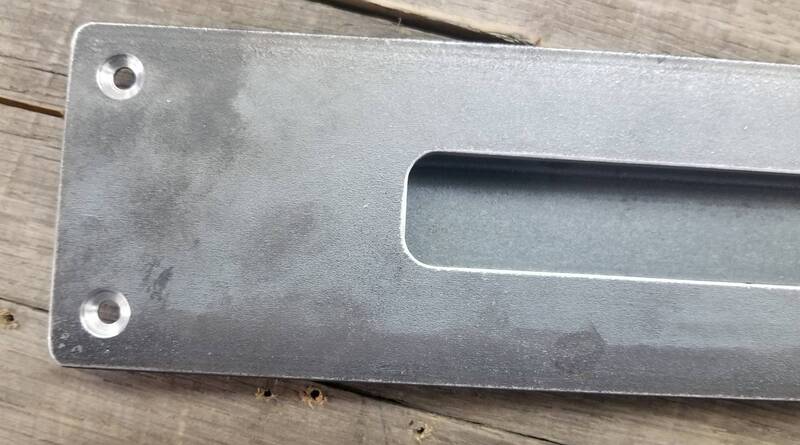 These are made of 1/8" or 3/16" thick steel drilled to match the front-side door pulls. 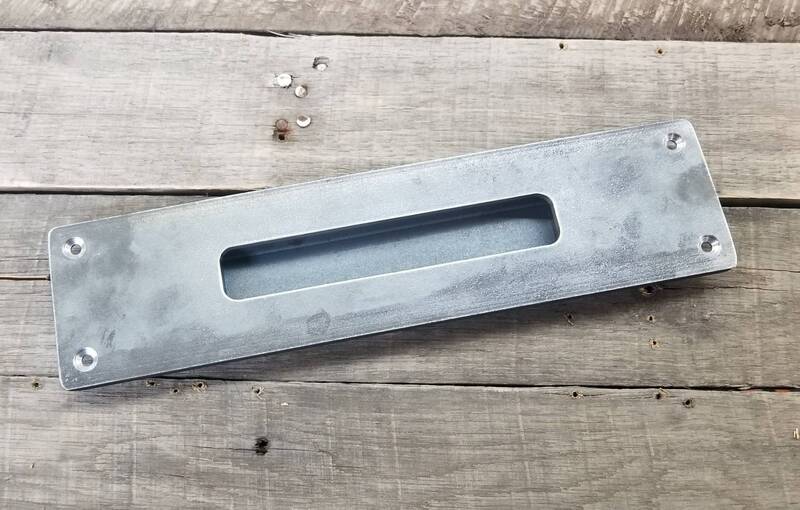 Bought this with the 14" drawer pull for our custom barn door and matched exactly and is very high quality. Thank you! Item arrived quickly, well packed, just as advertised. It looks terriffic and meets our needs perfectly! I ordered one of these intially then came back and ordered a four pack for some other doors. Chris even made a few slight tweeks for me so that they really had the appearance I was looking for. Great stuff, great seller to work with! Item arrived quickly, well packed, just as advertised. It looks terriffic and meets our needs perfectly! 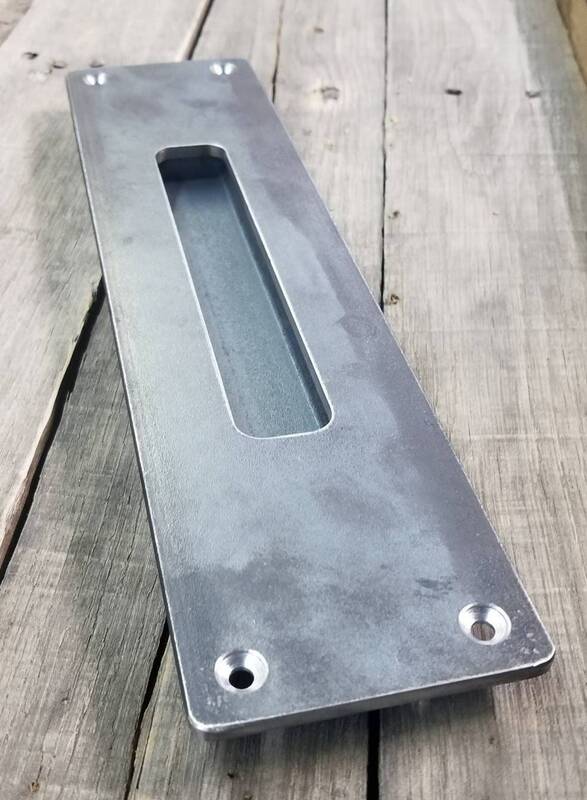 I ended up ordering another four of these for some other doors. Chris even made a few slight tweeks for me so that they really had the appearance I was looking for. Great stuff, great seller to work with!